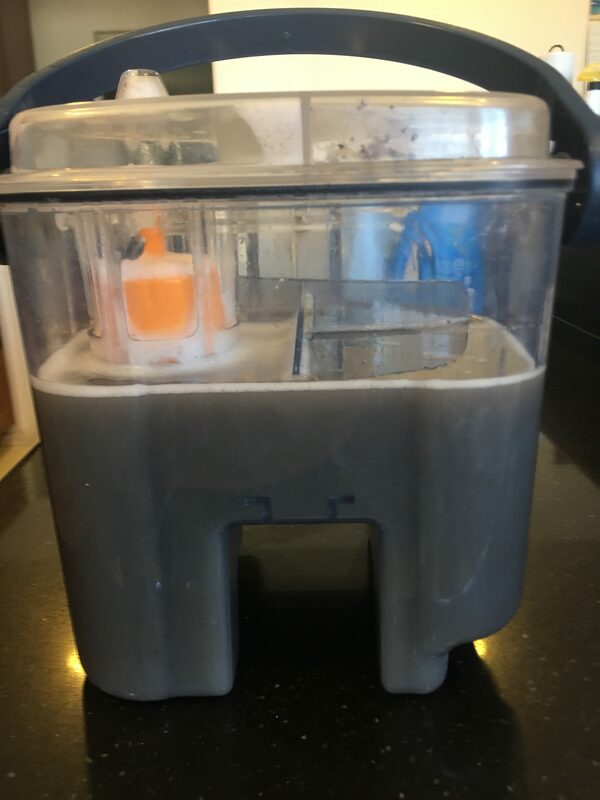 Ok, I’m a little embarrassed to say this… but my carpets are FILTHY! Or should I say….were filthy? 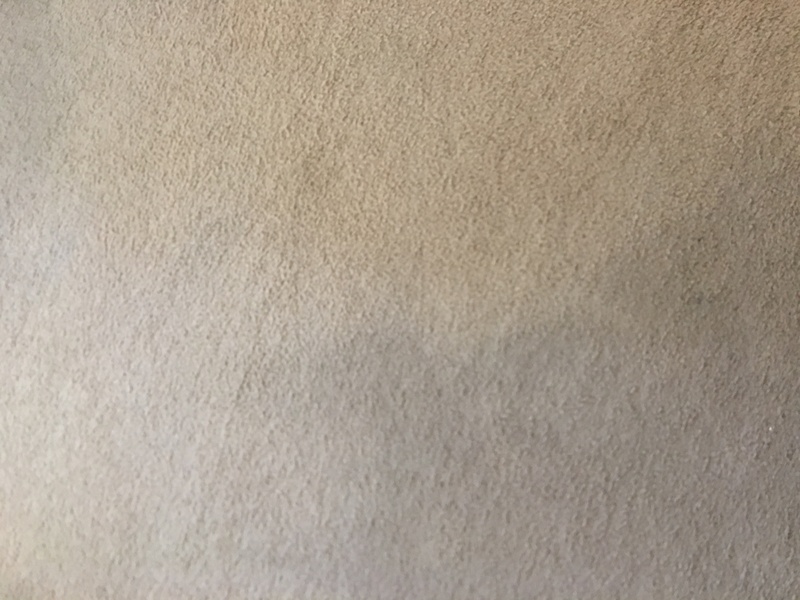 I have been wanting professionals to come clean my carpet.. but I never got around to making the appointment and/or I didn’t have the money for it. I finally got fed up with my nasty floors and decided to purchase a Carpet Cleaning machine. I bought the Hoover Max Extract All Terrain and I looooove this machine. My only complaint about it is that its noisy. But thats ok. It came with the sample bottles of cleaning solution. When that ran out, I needed more carpet cleaning solution. I wasn’t about to purchase a $20+ bottle of solution (when I would need multiple bottles) That would be costly. So, I came across this recipe and I love it. You will want to combine all of the ingredients and make sure everything is mixed well. 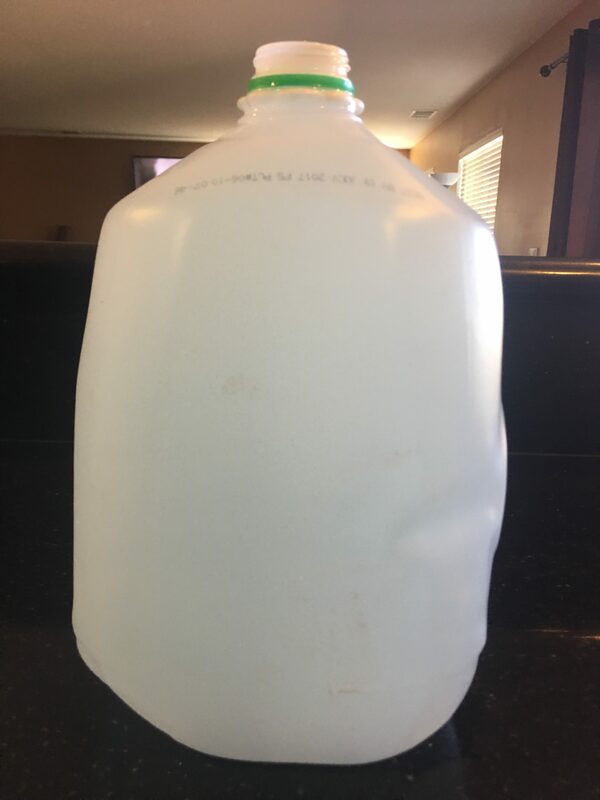 I like to take the empty gallon container and fill it about 3/4 of the way full with the hot water and then add the remaining ingredients. After the remaining ingredients are added I like to top it off with hot water and then do a little shake to make sure its all mixed. 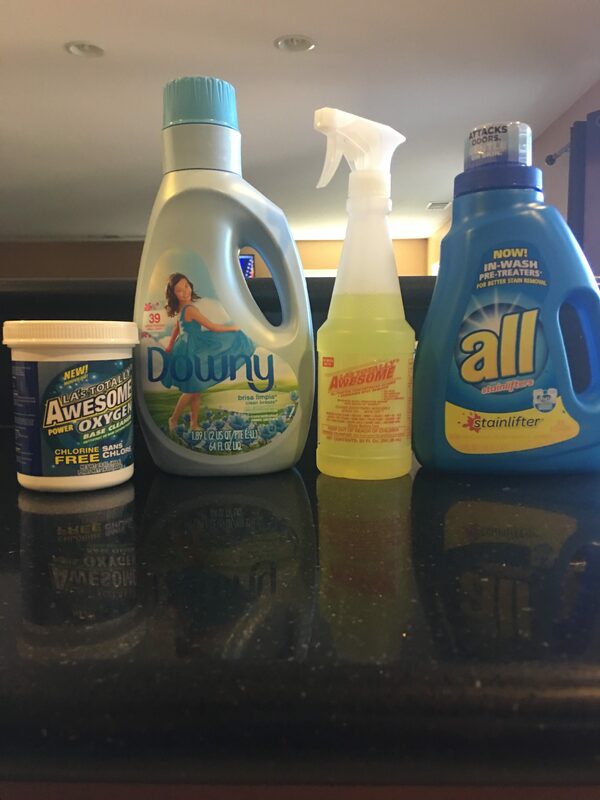 Yours may come out a little more different in color depending on what type of laundry cleaner you used. Do a spot test in an inconspicuous area before using on your whole floor. As you can see, the top of the picture is the shampooed area, while the bottom is the un-shampooed area. Welp… I won’t hold you up much longer. I know your getting ready to clean your carpets. Let me know in the comments how clean they turned out!